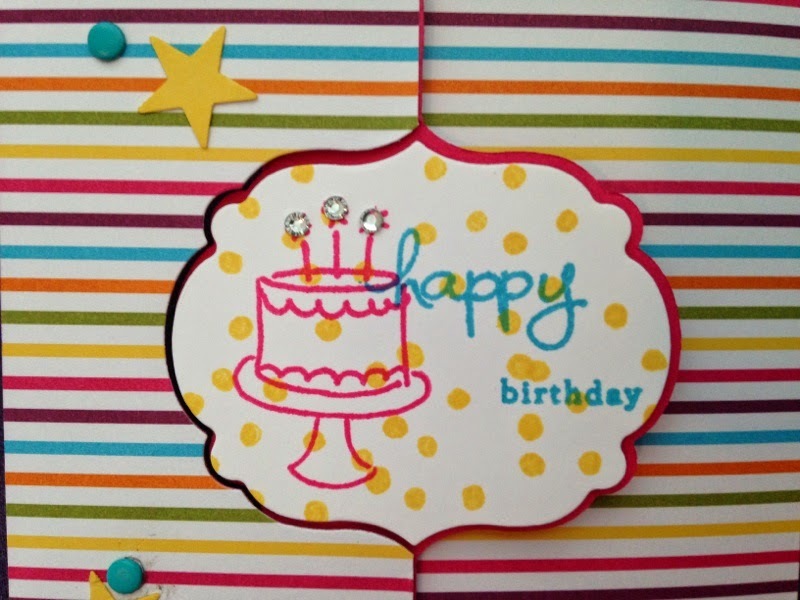 Stampin' in the Sun: Endless Birthday Wishes and a Fun Fold! The more that I look at this card, the more I fall in love with it! 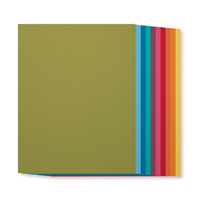 It's no surprise to anyone how much I love the Brights Collection of colors and the new Sweet Taffy Designer Series Paper works with the colors in the brights collection perfectly! 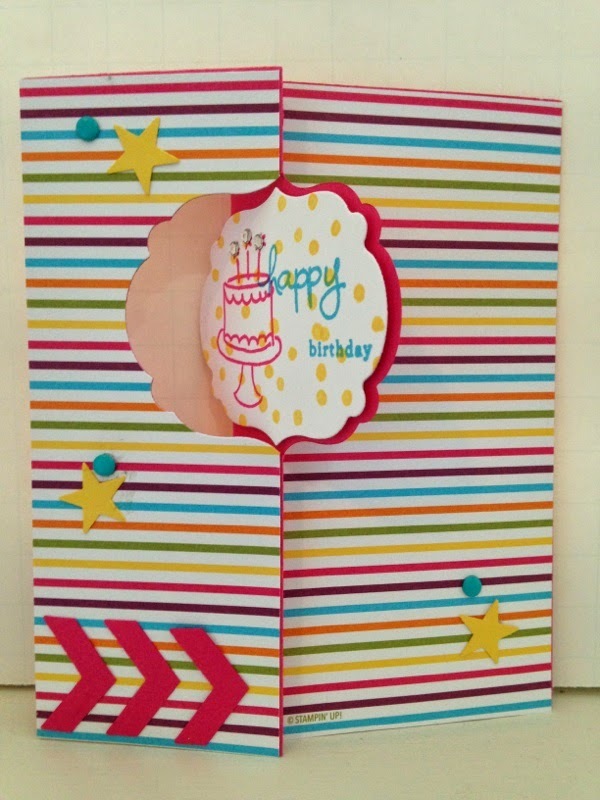 As you can see I added the Chevron punch outs and three Daffodil Delight stars from the new Itty Bitty Punch Pack! The other colors I used are Tempting Turquoise and Melon Mambo. Oh' wow! I haven't shown you the new Label Thinlits Die - it's not exactly new but it's new to me since this is my first card using it! Thank you so much! I appreciate your business!